The Advisor looks for some bars running one after the other, and then made the entry against this movement. There are no ascending or descending bars. This is what makes it possible to make a forecast for the upcoming rollback. If the movement continues after the trade, the robot exits the drawdown using hedging. Auto Lot - the lot is calculated Automatically. This indicates the value of 0.01 for the lot. How many bars - The number of bars in one direction, going one after another. Take profit - take profit in points. Stop Loss - Stop Loss when hedging is off. Multiplier (0 - martingale off) - multiplier of the next lot. Step - step of hedging. Stop Loss in % - Stop loss in percent. Improved Take Profit and Stop Loss. 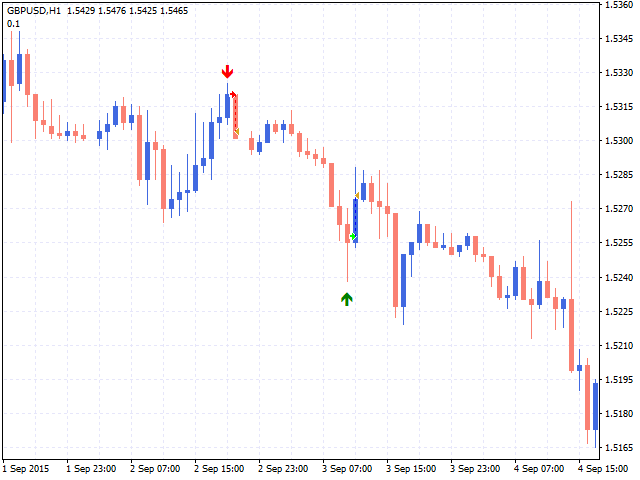 Stop loss for the first order (when hedging is disabled), stop loss in %.